Ah Dublin, there are few places quite like it when the sun is shining. Although I for one can struggle for ideas as to what to do when Mr. Sun makes an appearance. 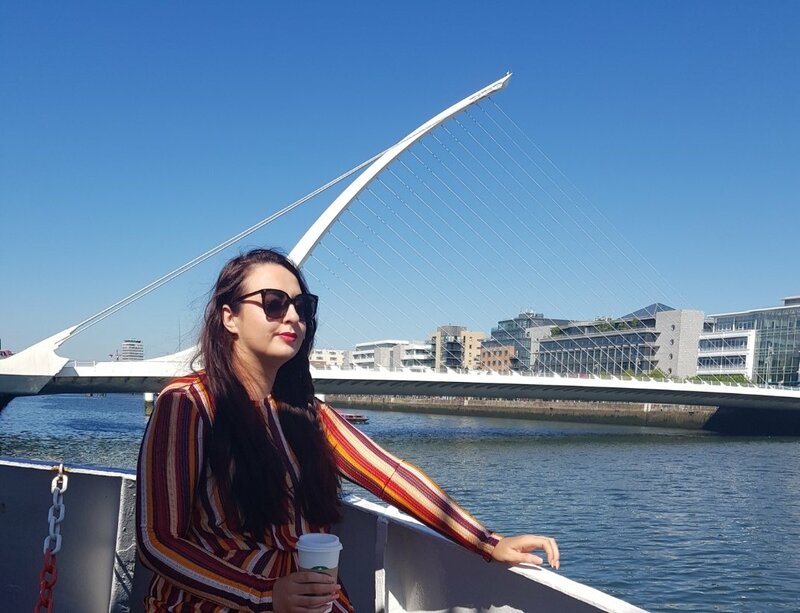 So, I have listed my favourite things to do in Dublin on a sunny day to give you some inspo. All aboard! You can go on a cruise around Dublin with Dublin Bay Cruises. It leaves from Dublin City Centre, Howth and Dun Laoghaire and travels to all 3. This is a lovely way to see the city and hear some Irish history. There’s a bar on board that serves snacks and refreshments too, so make of it what you will! Despite doing the cruise when it was sunny, I was still freezing so wrap up! Tickets: €28 and you can buy them here. I really enjoy a day in Howth. There’s a great buzz about the place and on Sundays, there’s a cool little food market. It’s full of restaurants and bars with views to die for. I recommend Aqua Restaurant, the food is nice and the views are insane! There are so many beautiful places to have a picnic in Dublin. Choose from St. Stephen’s Green, St. Anne’s Park, Dalkey, Killiney or, one of the most beautiful parks in Europe, the Phoenix Park. Rent a Dublin City Bike and cycle around the city. I do this in most cities I visit, it’s my favourite way to see a city. You can also rent bikes in the Phoenix Park now! They offer standard, electric and tandem bikes. Prices: From €6, book here. 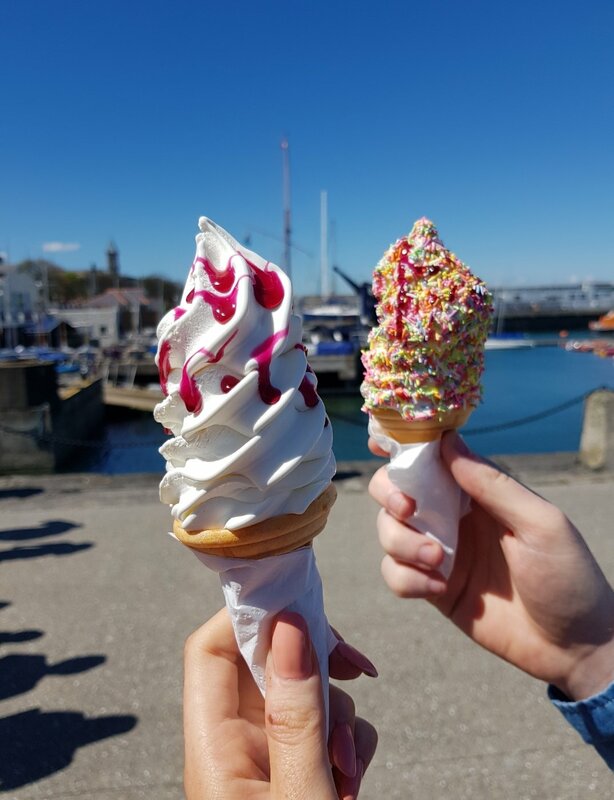 Grab a famous Teddy’s ice-cream, walk along the pier, visit People’s Park or just sit and watch the waves (so relaxing) in Dun Laoighre. I love this alternative way of seeing Dublin! The tour lasts approximately 2 hours in total (90 minutes in the water). You travel about 4km up the River Liffey, passing some of Dublin’s most iconic landmarks and bridges. City Kayaking also offer a “Music Under the Bridges” tour, where you can enjoy some local musicians playing music… under the bridges :p You can find out more details, including the pick up location and times, here. Tickets: €35 per adult and €25 for children. Buy here. Every single day I ventured outside college for lunch, the Viking Splash Tour frightened the life out of me! They roar at people waiting on traffic lights and while they think it’s hilarious, I think I’m scarred from it. So I haven’t yet went on the Viking Splash Tour yet but it sounds deadly! You travel by land and sea and the tour guide chats to you about Irish History while visiting Dublin’s most prolific landmarks. Tickets: €25 for adults, €13 for children and you can book them here. This definitely has to be one of the coolest activities in Dublin! 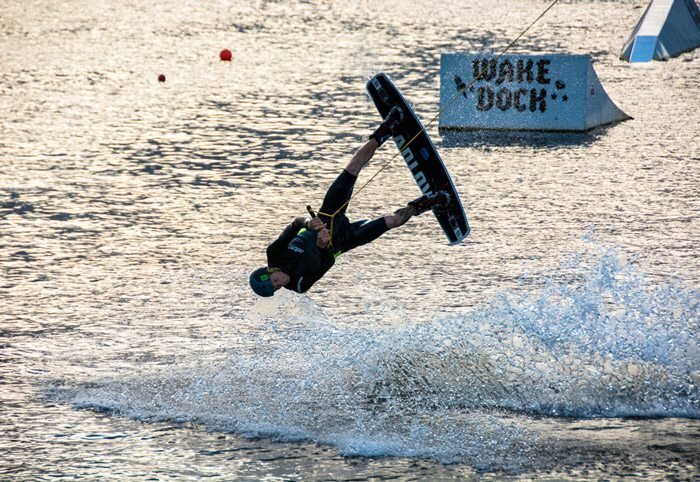 I booked wakeboarding at Wakedock for Darren for his birthday last year and he still talks about it. You don’t need any experience at all, the team train you on the day. They have children’s activities too like Ringo Rides! Check out the website for some pictures. Tickets: €20 to €30 depending on the day and time. You can book it here. There is nothing worse than going to the zoo in the rain! Likewise, there are few things better than going to the zoo in the sunshine! The queue will be mental so you should definitely book online in advance! Tickets: €17.50 per adult, €13 for children under 16 (children under 3 go free!). Buy here. Full afternoon tea while travelling around Dublin, how cool is this? This can really be done in any weather but I would imagine a tour around Dublin is much nicer in the sunshine. The bus leaves from Custom House Quay and travels by the Phoenix Park, St. Patrick’s Cathedral, Christ Church, Trinity College, Georgian Dublin, St. Stephens Green and more. Tickets: €40 per person and you can buy them here. If you fancy venturing outside of Dublin, Wicklow is not that far away and it is on my opinion, one of the most stunning places in Ireland with loads to do. You can read some of my suggestions here. I hope you find the above helpful! Let’s hope there are a lot of sunny days ahead of us this summer!